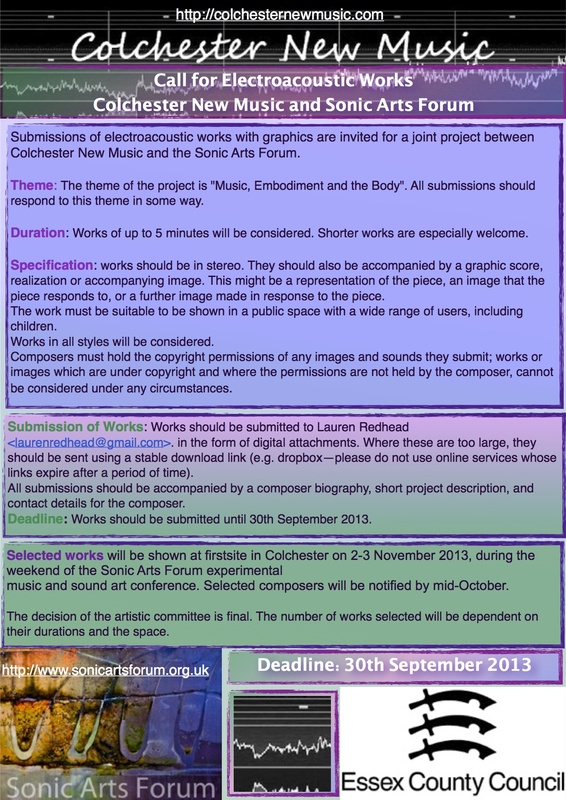 Submissions of electroacoustic works with graphics are invited for a joint project between Colchester New Music and the Sonic Arts Forum. The theme of the project is “Music, Embodiment and the Body”. This entry was posted in Call for scores, Current calls, Uncategorized on July 29, 2013 by jennipinnock.